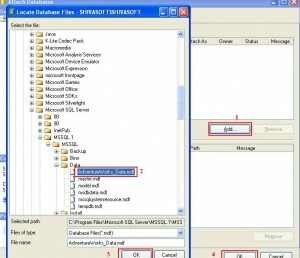 SQL server 2005, does not come with default / sample databases. so it can be downloaded and installed from http://msftdbprodsamples.codeplex.com/releases/view/4004. 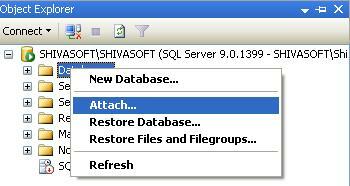 After downloading, the challenge for the new developer is that how to associate database with existing SQL server installed on system. 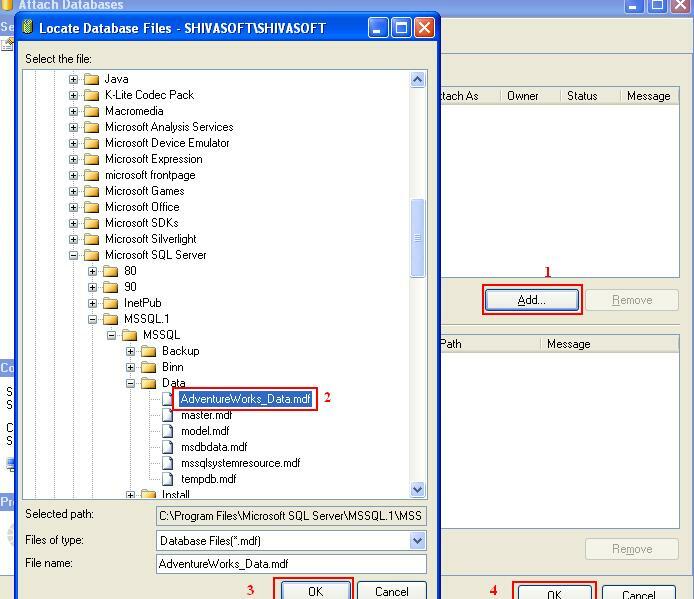 right click on database and select “Attach” option. one, new popup window will appear. Click on add button, then browse the file present on disc. After selecting the file, click on OK and the file is attached.